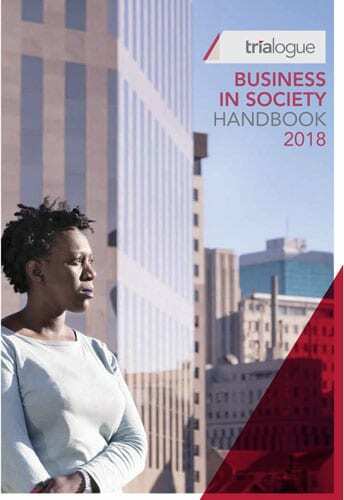 This 21st edition of the Business in Society handbook builds on the publication’s well-established reputation for providing comprehensive and reliable data and thought leadership on corporate social investment (CSI), while also responding to the increasingly holistic role of business within society, including but not bound by the concept of CSI. 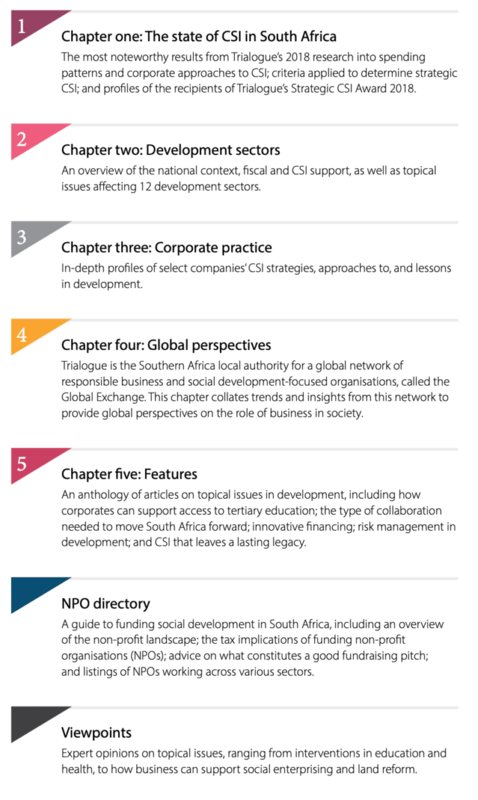 Collect the book from Trialogue Johannesburg: 1st Floor, Unit F6, 26 Baker Street, Rosebank, 2196. Fill in the form below to order your hard copy of this publication. Please note that delivery of orders placed after 16 December 2018 may only be delivered after 7 January 2019. Do you work in the CSI or sustainability industry? Would you like to join our industry mailing list? NOTE: Once you click Submit below, you will automatically be redirected to a page with payment options (regular post or courier). An email containing a free download link will also be sent to the email address provided.